I wonder if Louis Kahn's design for the Parliament for West Pakistan, 1965, provided any inspiration for the Ehrlich Architect's design. It's nice when coincidences spur a story. 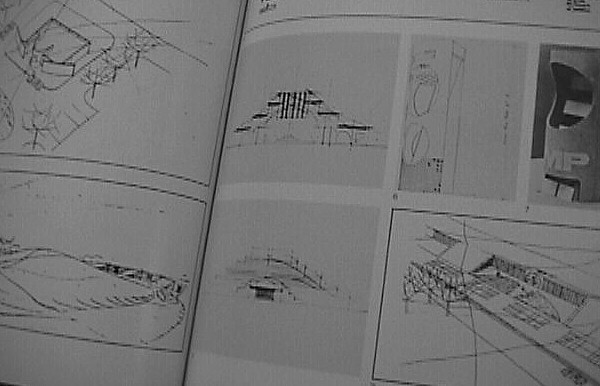 ...which no doubt stems from Kahn's coincident collaboration with Noguchi. Alas, the Levy Memorial Playground and the Council of Islamic Ideology designs were also never executed in built form, but there are two very real, legitimate offspring of these designs in Italy: Institute for Draghtsmen and Library and Cultural Centre. ...have an affinity with the architectures of the Levy Memorial Playground and the Council of Islamic Ideology, although Venturi had already used bermed forms within the F.D.R. Memorial competition, 1960. This project may well have had a subsequent influence on Louis Kahn. Both architects designed entries for this competition, and there are some striking similarities between the two architect's entries (which may well have their origins with the Kahn scheme). It is, however, the large bermmed forms of the Venturi scheme that predate Kahn's use of berms as buildings, e.g., at Islamabad (1965). Was it indeed sometime in 1960 that Venturi and Kahn had a parting of the ways? Having finished modeling the drum, roof and front block of the Pantheon, I wanted to see how it compares to Louis Kahn's 1965 design for the Parliament Building of West Pakistan (basically because the plans of both buildings are very similar in size). 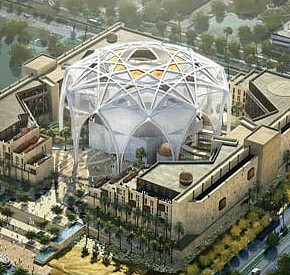 It seems rather obvious that Kahn had the Pantheon in mind while designing the new parliament building for Islamabad. "Louis Kahn rarely discussed buildings other than his own except for a few from long ago of which he often spoke. A favorite was the Pantheon, for him a spiritual place unfettered by time, location, or programmatic demand, a place in which to transcend everyday life by pondering those eternal truths, which for Kahn included humanity's omnipresent urge to better understand and thus improve itself. When he visited the Pantheon he detected basic, irreducible principles of architecture serving basic, irreducible verities of human existence--a sense of wonder, the love, the love of beauty, of perfection, the search for the divine--that he believed had always been and would always be. His compulsive discussion of his own work was less an indication of self-absorption than of his relentless search for timeless principles." 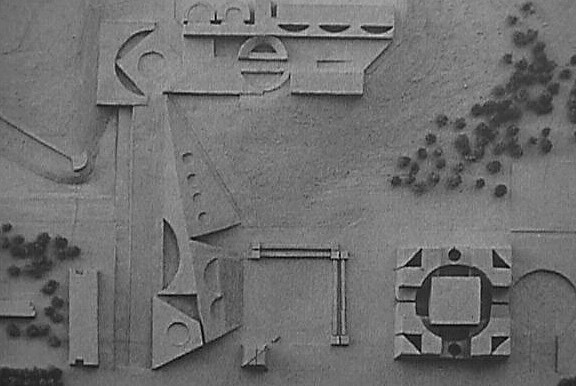 Robert Twombly, "Introduction: Kahn's Search" in Louis Kahn: Essential Texts (2003). It might just be worthwhile to reread what Kahn said about the Pantheon with respect to the Parliament Building design and with respect to Coarelli's theory that the Pantheon marks the spot of Romulus' "ascension into godhood" (hence the oculus). Plus Tafuri's many citings of Kahn within Theories and History of Architecture and Biraghi's "Kahn as Destroyer" come into play as well. It took some effort to find a nice line rendition of the Pantheon's front elevation, finally finding one in Buhlmann's Classical and Renaissance Architecture. 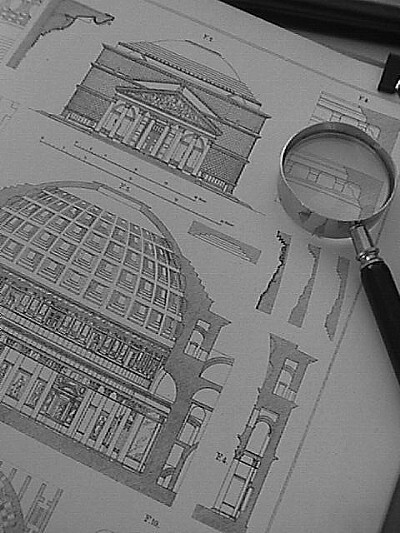 In constructing a computer model of a building that already exists, you soon enough find out that there are aspects of the building's design that you weren't altogether aware of before. The double pediments of the Pantheon front is a perfect case in point. Being now thus aware, my mind quickly went to Venturi's passage on the double pediment of Palladio's Il Redentore in Complexity and Contradiction in Architecture (1966): "These juxtapositions are relatively separated in comparison with the façade of Il Redentore, whose ambiguously superimposed diagonals are broken pediments and exposed buttresses at the same time." ...and from pages 92-3: "Palladio's use of two pediments in the same façade was legitimized not only be the problematical Basilica at Fano, but, above all, by their co-existence in the most venerable ancient temple, the Pantheon, where one pediment crowns the portico, while the other, further back, is attached to the high attic which projects from the Rotunda. It is from here also that Palladio derived his attic for the Redentore. 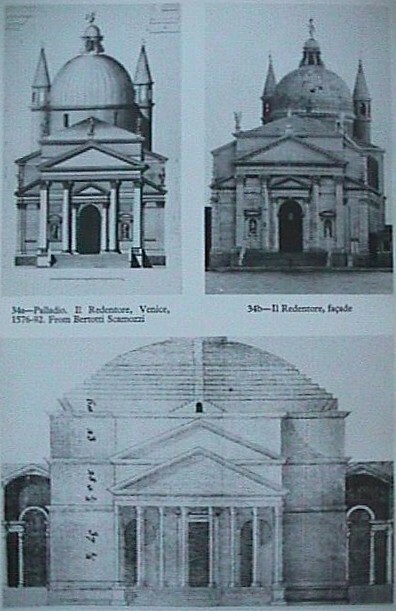 Almost all the measured drawings of the Pantheon made during the later 16th century show the two pediments, and Palladio himself drew it twice with them, once for the Quattro libri, and a second time in the series of thermae which were published by Lord Burlington. The men who interpreted the front of the Pantheon in this way thought in terms of complicated wall arrangements, and took it for granted, therefore, that the two pediments belonged to a homogeneous classical design. The views of the Pantheon drawn in the 15th and early 16th centuries show only one pediment. These views are also accurate if it is considered that from a near distance the second pediment is invisible. The men of the Quattrocento, thinking and seeing in terms of simple wall arrangements, assume this near distance. In the 17th century a more detached archaeological approach led Carlo Fontana to conclude that the portico was a later addition to the original Pantheon, and he reconstructed it in its supposed simplicity without a portico. 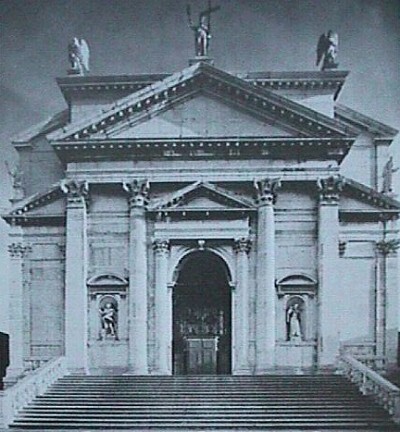 Following the precedent of the Pantheon, and with Vitruvius'' description of the Basilica of Fano in mind, Palladio gave intersecting pediments to the front of the Basilica of Constantine, which for him was the 'Tempio della Pace'. It is evident that he regarded this motif as well established in classical antiquity." And in Kahn's 'Pantheon' for Islamabad we have a virtual merry-go-round of triple pedimental voids.